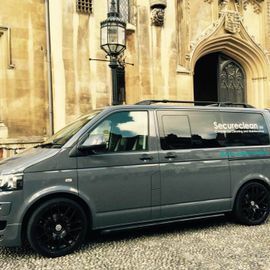 Established in 1980, Secureclean Ltd offer a complete commercial cleaning service throughout Bedford, Cambridge and Hertfordshire. Contact us today to get your business buildings looking shiny and new. We are experienced in all aspects of commercial cleaning, and will offer you a first class, personal service. Our staff are a href="/staff-training-and-quality-control">highly experienced will take great care in any cleaning operations in your building, and the job will get done to an exceptional standard. Our services range from day to day office/restaurant/bar area cleans, all levels of window cleaning to deep cleans and carpet cleaning. Our list is not exhaustive, so if you have any other requests or requirements not listed above please contact us to discuss them. We aim to provide all of our clients with an individual service to suit their wants/needs and our commercial cleaning standards are very high, so you won't be disappointed with the results. We are also ensure that health and safety is followed at all times. For a free quote on any types of cleaning, please get in touch via the number, email us or dial 0800 047 6024. With years of experience and a great track record, Secureclean Ltd is the company to make your business environment a pleasure to work in. Our phone line is open 24 hours so get in touch!